The garden behind Jack's house has gone wild with creatures set loose by the magic beans Jack and his kid sister Maddy planted. One particularly mean creature has kidnapped Maddy and carried her off. 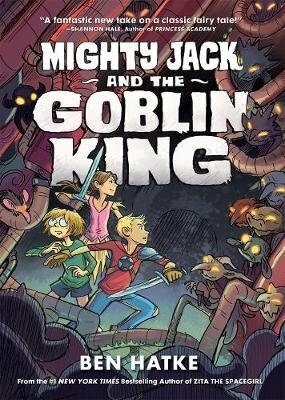 Now Jack and his neighbour Lilly must follow her to a world between worlds beyond the vines and stalks, where giants grind the bones of human children to feed their beast in the castle up above, and a fearsome goblin king rules down below. It'll take more than Lilly's bag of concoctions and tricks, and more than one hero, to rescue Maddy, reunite Jack's family, and bring them all safely home again.